i am very new to this and i am one game away from buying my guns. i have decided on a TM px4 as my pistol and had decided on a G&G gen2 top tech TR16 R4 Commando. i had placed my order with the nice chaps at xsite all was going on Saturday to pay. Then the phone rang tonight........ We can’t get the R4 Commando for a long time due to shipping problems; do you want to pick another gun? Now, here lays my problem. i don’t know about any other guns and my local shop is very G&G sales focused. i am looking for a full metal body, GEN2 internals with front RIS and the capability to except an EOtech 551.
i have a budget of about £300 and i would like it to look like the attached photo. G&G guns are very good in my opinion my main aeg is made by them and i would recommend you either wait for the shop to get it back in stock or i found this on action hobbies http://www.actionhobbies.co.uk/G-G-GR16-R4-Carbine-RIS-Airsoft-Gun-Metal-Body_A12MCC.aspx?nh=124116 full metal body G&G with ris rails. also action hobbies will get it to you very quick and £116.65 awesomely priced. i strongly believe this is what your looking for. Have a look at pro airsoft supplies if you want a G&G top tech as they have a good range (the one you want is shown as out of stock). Otherwise maybe a trip to xsite at lane end so that you can hold various guns. Be careful with a TM PX4. 2 of my teams mates have them and they are both broken! both have issues with the slide and the slide release catch. You CANT get parts for them! 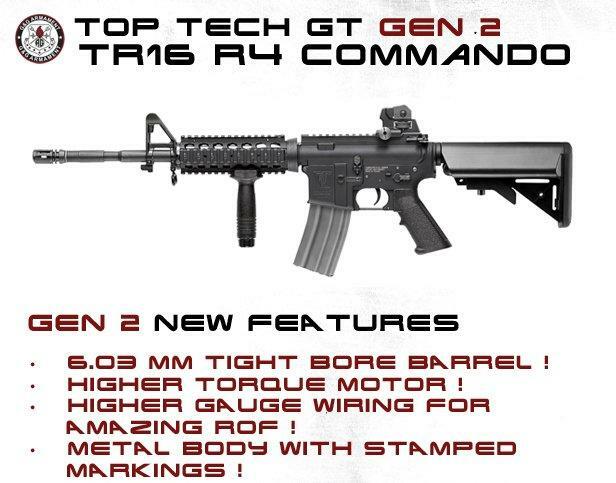 as for a M4 take a look at the G&P range. IMO better than the G&Gs. I have the M933 or EOD as its marketed. under budget and rear wired so the ££ saved can go on a RIS. shoot almost as well as the g&g but feels and looks a hell of a lot better. It's worth it for that alone in my opinion. You can always upgrade the internals later, but it's not really a necessity.